The Blog Formerly Known As The Blue Cottage: Does Alice Live Here Anymore? 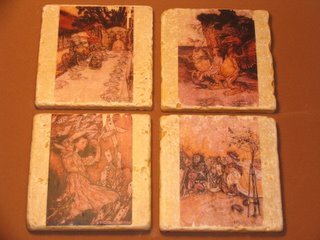 "Jolene, you packed them so carefully and I was so awe-struck at how beautiful these coasters look in person. I was smiling from ear to ear and screaming from the excitement of having them "home." You really know how to put that artistic touch on all your creations. I could not have imagined them looking better in person but they do! I LOVE THEM. Everyone should jump on these cause they're little pieces of art and they're ORIGINALS! Thanks for mailing them off to me in a timely manner and for packing the heck out of them for safe handling." 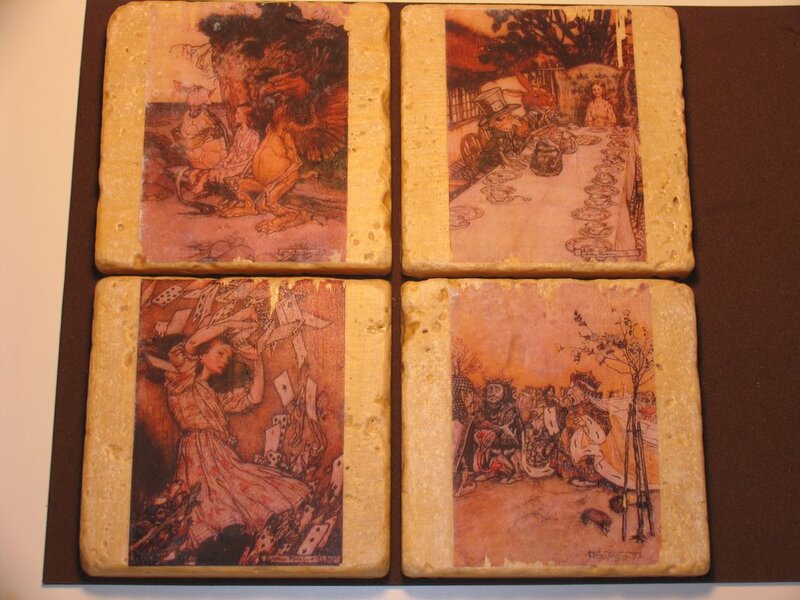 Today I created the vintage Alice In Wonderland Coasters. I've had so many positive emails regarding the coasters -- thank you all! WOW, these are gorgeous! How do you make them look so aged when they were made today? LOL! You don't have to share your secrets, just keep making them!